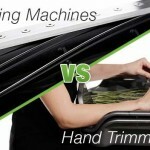 Machine Trimmers vs. Hand Trimmers; which tool will rise to the top? Whether you are pro-hand or machine, we can all agree, your trim is only as good as your tools. 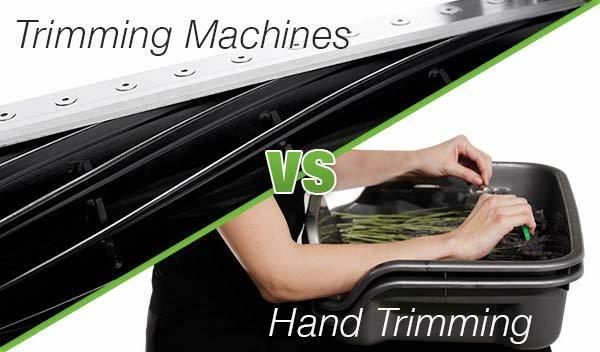 Machine Trimmers vs. Hand Trimmers; which tool will rise to the top? Whether you are pro-hand or machine, we can all agree, your trim is only as good as your tools. Harvest is here, it’s time to get to work and trim your flowers. Trimming allows you to control their appearance, harshness, and the overall quality features that you wish to emphasize. Trimming varies by personal preference, with the most common methods being machine or traditional hand trimming. Your trim is only as good as your tools, so it’s important to invest in high quality tools that allow you to achieve the results you want. Let’s take a look at how machine trimmers stack up against hand trimmers, when it comes to achieving your garden goals. It doesn't matter if you are hand trimming or using a machine. You need to keep your equipment clean and maintained. This not only improves the end quality of the product but saves wear and tear on your trimming machine or hand tools. It also prevents contamination from grow cycle to grow cycle. 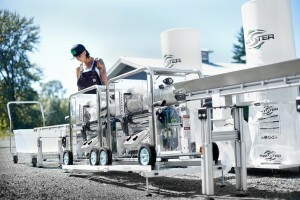 All trimming machines should be cleaned before being stored and, in some cases, should be cleaned and adjusted periodically throughout the harvest. Consult your owners manual for specifics. Trimming machines, such as the Twister T4 and Twister T2 require very precise alignment in order to achieve optimal performance. It is critical that blades are properly cleaned and sharpened and that the tumbler is carefully cleaned and stored. If a tumbler is dropped, it can severely damage the machine if allowed back in operation. This is also true for other automatic and manual trimming machines. Scissors, pruners, and other hand tools also need to be properly cleaned between growing cycles and before being stored. Plant material that is left on these tools will decay and introduce contamination the next time these tools are used to prune or harvest your crop. Machine trimming varies from machine to machine. Trimmers can broadly be categorized as manual, mechanical tumble, air tumble, and gravity fed. They can also be further divided by those that can trim "wet" and those that trim "dry". Wet trimming generally produces a better trim with less quality loss in the product. Machine trimming has gained in popularity and it’s not hard to see why. Smart design and quality manufacturing makes a Twister machine trimmer a favorite among harvesters. Every element of the harvesting process is taken into account, making your trim seamless. The T2 and T4 series machine trimmers are a popular choice amongst harvesters looking to trim large and commercial size gardens. 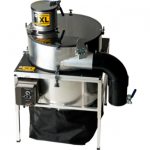 Both series allow you to trim wet or dry and can be coupled with conveyors for quality control and ease of automation. 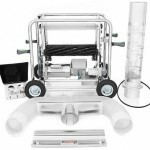 Twister trimmers come with a full 3 year warranty and 12/7 technical support. 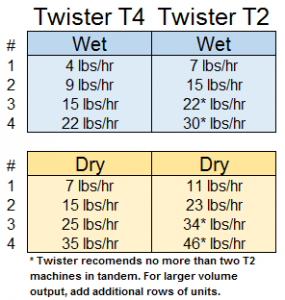 Twister also offers an extended 2 year warranty on all trimming machines and conveyors. FDA-approved feed conveyors improve speed and consistency by 20% while 22 StaySharp blades deliver almost 40,000 cuts a minute. Intuitive design make Trimpro’s machine trimmers easy to use. Like Twister, no detail has been spared. Machine trimming has never been easier. Both the Trimpro Automatik and Rotor series boast affordable price points, for harvesters looking for an economical entry point into machine trimming. Shop All Our Trimming Machines Here! See the entire Trimpro line of products. Hand trimming methods will always yield the best results. You can get the trim exactly like you want it and preserve cuttings easily. This method also has the advantages of preserving the most amount of flower quality, pollen, and resins on the plant. Hand trimming, a method preferred by many traditionalists, is a true art form. Allowing for signature style, it requires skill and patience. Inefficient for larger gardens; a crew of trimmers have to be employed. Room for human error—steep learning curve on your first several harvests may result in lost flowers or buds. Titanium Trimming & Pruning Scissors - design focused on precision and ease of use. Harvest Drying & Curing Tent Packages: Available in - 4’ x 8’, 8’ x 8’, 5’ x 5’, 4’ x 4’, 3’ x 3’, 2’ x 2’. If your goal is to enjoy the benefits of growing a small garden, then investing in the Hydrobuilder hand trimmer and harvest drying and curing tent package offers an affordable option. Keep in mind, as the size of your garden goals grow, hand trimming becomes a less feasible option. Making a machine trimmer the tool of choice for harvesters looking to trim medium, large and commercial gardens. An investment in a machine trimmer will allow you to achieve the full potential of your garden goals, yielding a positive return on investment. If you are new to harvesting, check out our beginners guide to harvesting, drying, and curing! 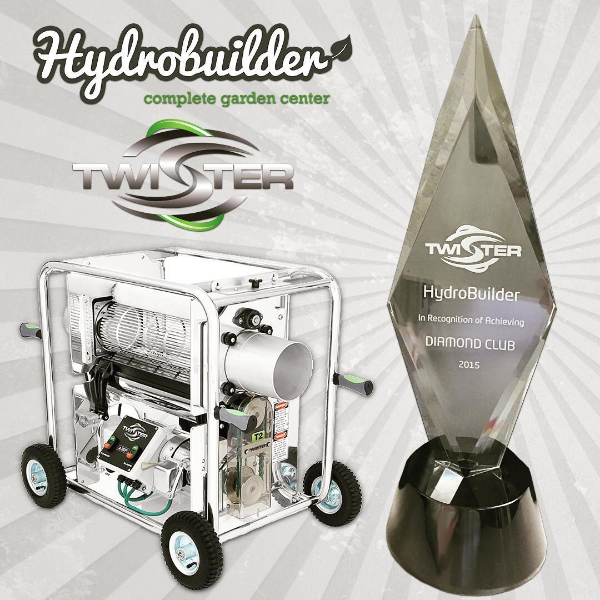 Hydrobuilder is a proud member of the Twister Diamond Club, for being a top Twister retailer and having extensive product knowledge.